CHARLOTTE, NC -- The U.S. Department of Justice says former CIA Director David Patraeus has agreed to plead guilty to mishandling classified materials. A Justice Department statement says a plea agreement has been filed in U.S. District Court in Charlotte, North Carolina. The Associated Press was not immediately able to access the documents. The agency says the former top Army general was charged with one count of unauthorized removal and retention of classified material. 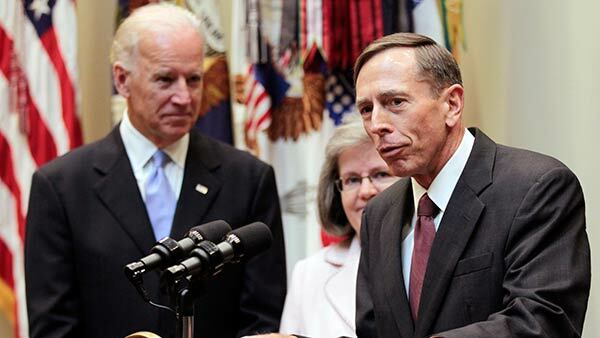 The statement says Petraeus had signed an agreement pleading guilty to the single criminal count. Petraeus' lawyers David Kendall and Robert Barnett in Washington declined to comment. The case was filed in Charlotte, the hometown of Paula Broadwell, the general's biographer and former mistress.